Often the appetite for adopting a strong, corporate socially responsible approach to doing business, is driven by shareholder expectations and the cultural norms that exist within an industry sector. To drive long term profitably by adapting work practices, that are seen to do good and adhere to the law, cannot be a bad thing. I would like to build a case that proposes that the best kind of CSR delivers this change and long term benefit by starting at the core of the organisation. It would be easy to make a team, put them in a room to scour best practice and build a policy that will meet the needs of shareholders, appear to tick the legal and ethical boxes. The harder route is to look at the fundamental purpose of your business existence, identify what is at its very core and then build a sound ethical model based on that central premise. At Bicester Vision we have done just that thing. When I joined the organisation in 2015 I was challenged by the board to review its guiding principles and adapt them to meet the new world that Bicester has become in recent years. I spent time with every member and got to understand their business approach, personal motivations and reasons for existing. I probed them on the good, bad and general observations about being part of this partnership organisation. 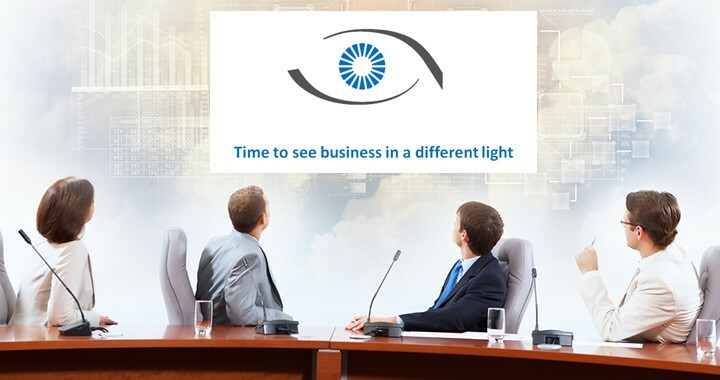 The insight that I gained in those meetings reassured that the three pillars that have supported Bicester Vision were still solid; planning for change, supporting businesses and working with government. However, there was an inner core of insight that I delivered too – the partnership members were concerned about the impact of new higher volumes of people that would be moving to Bicester – as homes were built, where would they work? It appeared that we as a partnership had an inner desire to help those people when they arrived – if we could. But how could we in our small organisations affect such change – after several meetings the answer became obvious. 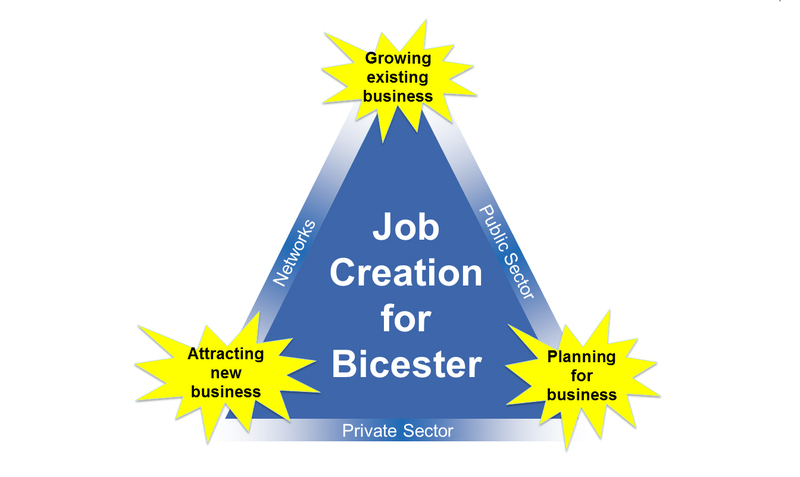 As a Bicester focused public and private sector partnership our core guiding principle ought to be one based on job creation. With the foreknowledge, that over the next few decades the town will double in size, we should be looking at how we can support any initiative to grow local businesses. So we are tapping into LEP streams to access subject matter experts to support local businesses. Where there is a centralised pool of experts it is down to the individual regions to draw upon it. We are developing a Bicester Business Incubator with Cherwell District Council. This will provide a safe, managed, space where great ideas can be turned into new, thriving businesses. We want to bring sole traders, micro businesses and entrepreneurs together to work and collaborate – and through serendipitous encounters and organised workshops let business ideas flourish and new collaborations prosper. We are also working with the schools and colleges in Bicester to develop work ready students that are engaged, motivated and energised to get out into the world of work and start earning. 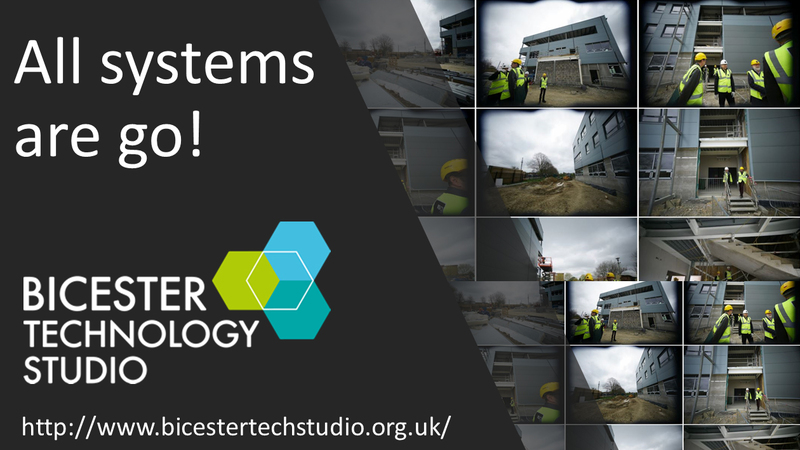 Bicester Technology Studio has recently opened its doors under the inspirational leadership of Principle Richard Brown. We are fully supportive of his approach and have been very impressed with is visionary aims for nurturing talent. He and the team at Activate Learning will be developing cohorts of student with skills in supply chain & project management, eco-construction and business model engineering. These are exactly the skills that the Bicester in the next 10 years will need. Skills ready, talented students able to walk straight into well paid, local jobs. These examples provide a degree of insight into how we, Bicester Vision, have responded to the perceive needs of the community and come good on our responsibilities to the environment and business community. As Partnership Manager my role is to hold these threads together and furthermore to seek out new conversations and possible collaborations. If I can go home each evening knowing that what I have done today I would want to do tomorrow, then Bicester Vision has succeeded in creating a workforce well-being programme that trickles down to its own employees as well as the wider community. Furthermore, as a spokesperson for the partnership and business evangelist for Bicester town, if I do not believe in this approach, how could I convince others. Bicester in the coming years will be the place to come and do business. Where there are successful businesses in a prospering areas – growth and job creation is sure to follow. Posted in energising, sustaining and tagged business, CSR, Operations, sales.